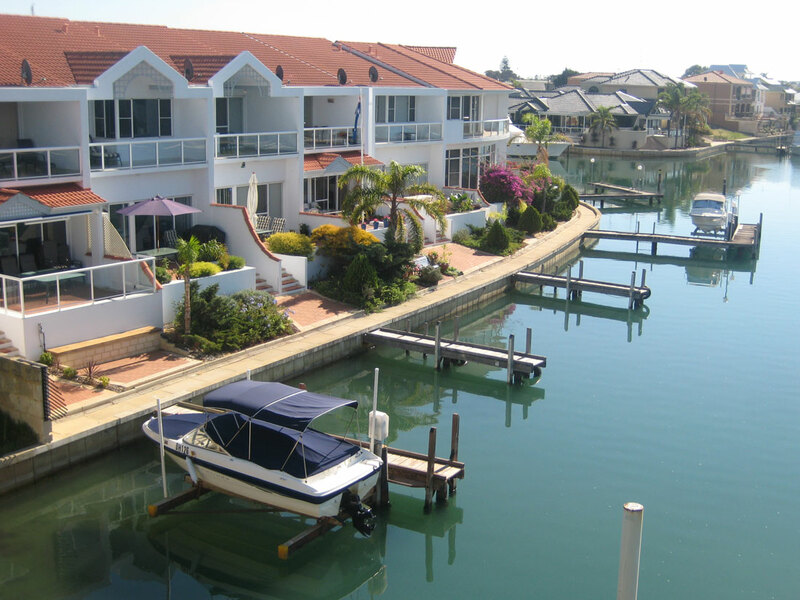 A popular choice of accommodation for Mandurah holiday makers! 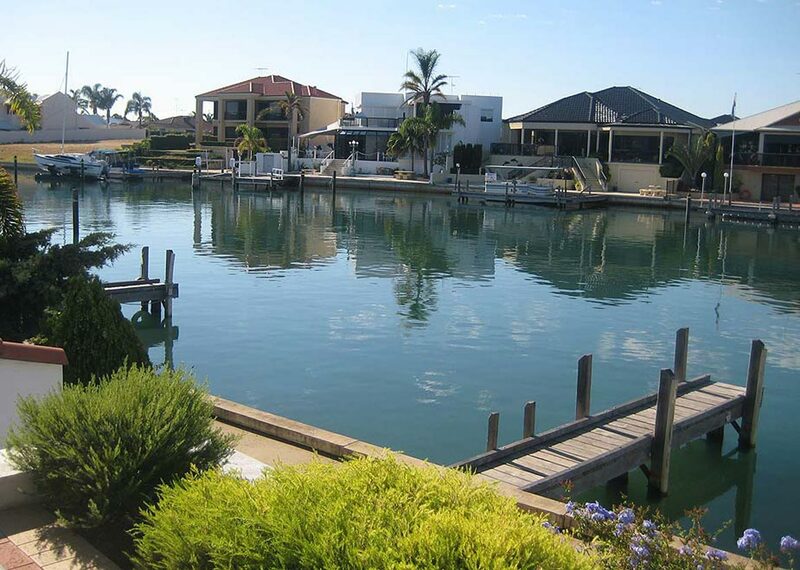 On the canal with it's own jetty and dolphin sightings, this well appointed fully furnished villa is a short walk from Mandurah's Foreshore, Cafe & Restaurant strip and many attractions. 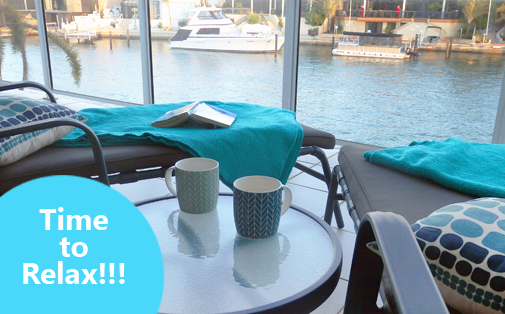 The perfect place for a weekend get-away or that long hard earned break, lounge on the top balcony or sit on the patio and relax while watching the boats on the canal.... was that a dolphin going by? Our relaxing villa has fully ducted air conditioning and heating giving a comfortable and cozy feel all year round. 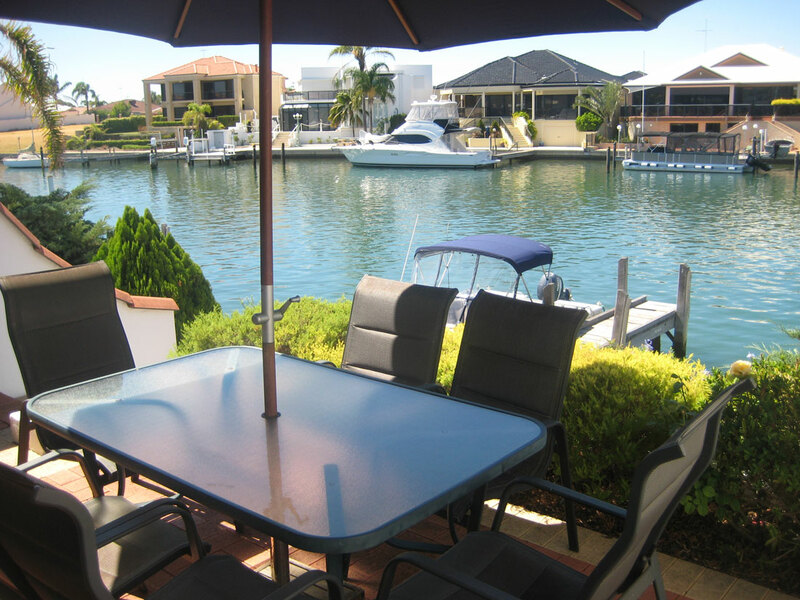 It has a balcony and patio both with canal views, 3 bedrooms and 3 bathrooms and can accommodate up to six people. We also have Jetty facilities, so bring your boat! Watch the world drift by from our patio and BBQ area. The canal is often visited by local dolphins, sting rays and pelicans, not to mention the luxury boats. We have our own jetty where guests can drop a crab net or do some fishing. 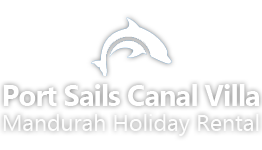 Bring your boat and enjoy the luxury of mooring on the doorstep or take a trip on one of the dolphin canal cruises available, you can even hire a boat.